The same is true of the contracting industry. Those “lazy, hazy, crazy days of summer” often mean that families are spending their time relaxing, planning for and going on vacation. There are days at the beach and family barbeques at home. Most homeowners are not beginning their home renovation projects. Instead, they put them on hold, waiting for summer’s end. And there you have it; The Best Time for Summer Deals is now! If you are smart, you will book your “dream projects” during your contractor’s slow time… which in turn means summer deals, with savings in your pocket. 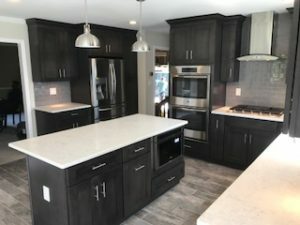 Whether you are looking for exquisite bathroom remodels, fabulous kitchen renovations or full basement remodels (think “media rooms, state of the art gyms, guest rooms and an in-home office”), we can make your dreams come true, and if you are looking for a deal and the best prices of the year, there is no time like the present. Interior Excellence is an interior renovations company that can turn your desires into a reality. We specialize in kitchen, bathroom and basement remodels. We are a One Stop Design Shop, and we can meet all of your design and renovation needs. You deal only with us, and we handle permits, architectural plans, plumbing, electrical, flooring and all design needs. We take you shopping, provide you with 30 plus years of design experience (from classic designs to the avant-garde) and we pass our designer discounts on to you. At Interior Excellence, we continue to provide our customers with superior services and attention to detail that has helped build our reputation. We provide you with a customer reference sheet, and we urge you to reach out and hear from our happy customers. We will leave you smiling, it is what we do! It is summertime. Let’s have some fun and get your jobs done. The time is now! Call Myles to get on his schedule for your in-home free estimate!